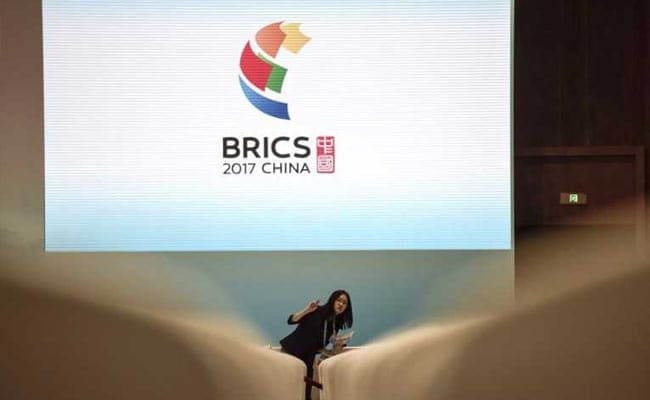 New Delhi: Prime Minister Narendra Modi today arrived in China to attend the three-day BRICS Summit, which he hoped would support the agenda for a stronger partnership among the member countries, amid strain in Sino-India ties over a host of issues. 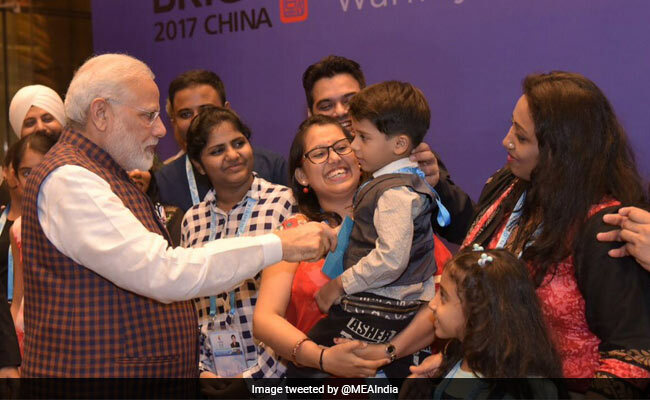 In a statement yesterday, PM Modi said he was looking forward to productive discussions and positive outcomes at the BRICS (Brazil, Russia, India, China and South Africa) Summit in Xiamen city, building upon the results of last year's Goa Summit between him and Chinese President Xi Jinping. The visit comes days after India and China ended the 73-day-long Doklam standoff. A possible meeting between PM Modi and Xi Jinping on the margins of the BRICS Summit will be a major focus. India hosted the last BRICS Summit in Goa last year. 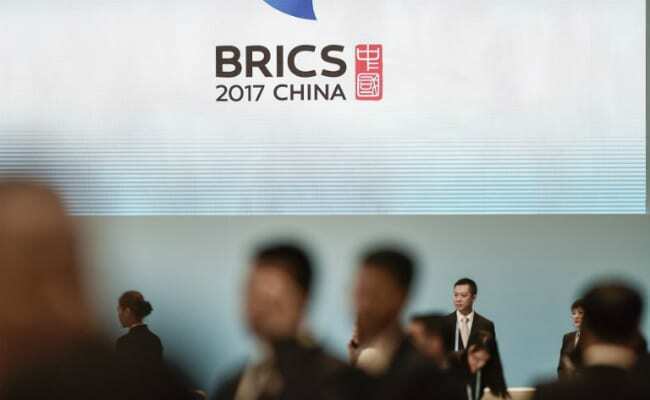 BRICS was already struggling to live down doubts about its own cohesion that have spiked since nuclear-armed China and India engaged in a protracted standoff over Doklam. They backed off last week -- perhaps to avoid ruining the summit -- but the issue remains tense and eyes will be on the interplay between PM Modi and Xi on Monday. Prime Minister Narendra Modi and Chinese President Xi Jinping are expected to hold a bilateral meeting on Tuesday, nearly a week after India and China announced resolution of the Doklam standoff, news agency PTI reported. PM Modi will also hold bilateral meetings with other leaders including Russian President Vladimir Putin and President Abdel Fattah el-Sisi of Egypt, which is among the five counties -- Mexico, Guinea, Thailand and Tajikistan -- invited by China as part of the 'BRICS Plus' outreach exercise. 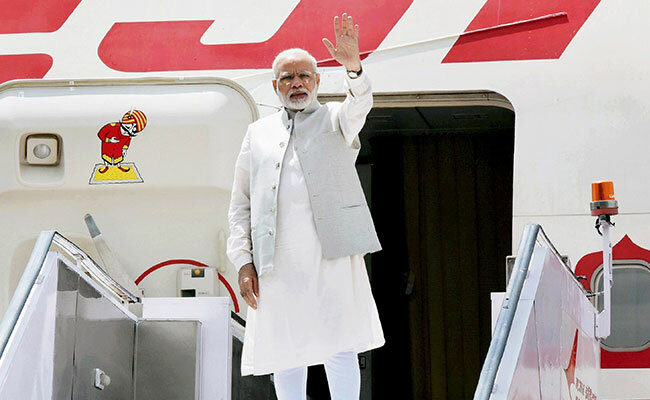 The Indian community welcomes Prime Minister Narendra Modi as he arrives in China for the BRICS Summit. 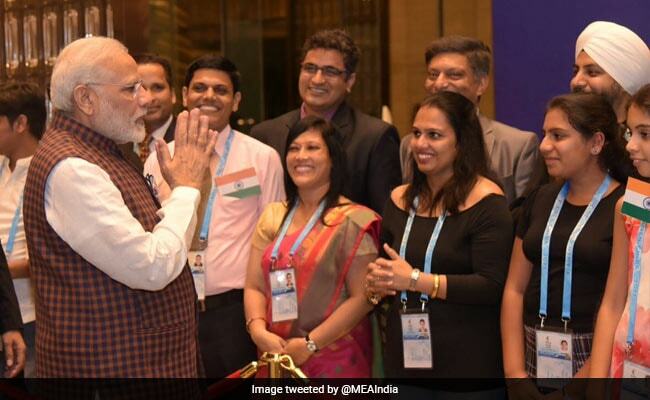 Prime Minister Narendra Modi meets the Indian community in the Chinese port city of Xiamen. The gathering of the heads of state from Brazil, Russia, India, China and South Africa will give China as host its latest chance to position itself as a bulwark of globalisation in the face of US President Donald Trump's "America First" agenda, news agency Reuters reported. A Chinese delegation greets Prime Minister Narendra Modi as he arrives in the Chinese port city of Xiamen to attend the BRICS Summit. PM Modi is expected to hold bilateral meetings with Chinese President Xi Jinping, Russian President Vladimir Putin and other leaders on the sidelines of summit. 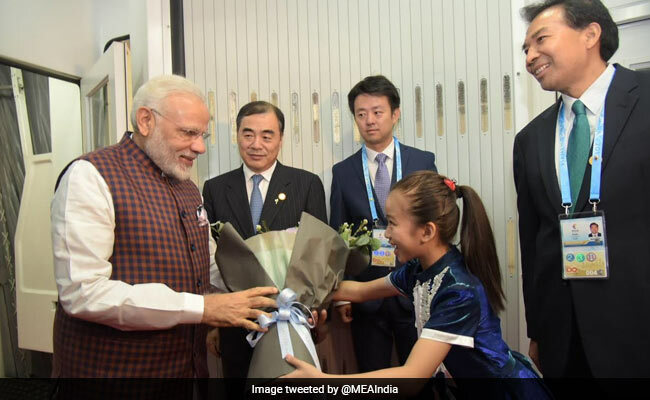 Prime Minister Narendra Modi has arrived in China's port city of Xiamen to attend the 9th BRICS Summit, reports news agency ANI.